Now we are coming out of what has been a remarkably mild winter, it’s time to think about getting boats back and looking forward to sailing again. This means it is time for memberships to be renewed and subs paid; you will find a link to the membership form further down this newsletter. We look forward to welcoming back current members and hopefully seeing some new faces as well. Over the winter we have undertaken some much needed maintenance and I would like to thankTony Walker, Tony Cook, Mark Kimber, Peter Tait and everyone else involved in refitting and painting the sail room and entrance to the changing rooms as well as other essential maintenance. 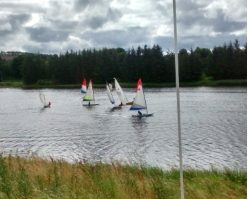 Not everyone stops sailing for the winter and Aberdeen University have made good use of the Loch for their training sessions. They planned to hold a couple of events there but in the only real cold snap of the season, the Loch froze and they had to relocate to Dundee. The radio sailors have also continued to meet over the winter and have helped with general upkeep of the grounds. They have a couple of events this year that they will host at Forfar so we look forward to seeing them in action. As noted below the day for boats returning is Sunday 24th March and we will also hold our Half Yearly meeting that afternoon. We really hope to see as many members as possible at this to hear about the year ahead. We will also be voting in a new treasurer as Simon Brown leaves this role after two years. Thank you to Simon for keeping the accounts going, the tuck shop stocked and lots more. The new sailing calendar is almost complete and will be emailed to everyone so you can put dates in your diary. We are returning to the system of OOD and safety boat helm on Sundays for the racing in the afternoon and to support the free sailing in the morning. We are updating the list of people who are able to use the safety boat. We think we have everyone on the list but please contact us if you see any inaccuracies. Everyone cleared to use the safety boat will be given roster dates and I thank you in advance for your support of the club. (current members will receive an email with the calendar, helm list and duty roster soon) We are also introducing a Sailing Ladder instead of the pursuit race on Thursday evenings. We hope this will encourage more people to try racing and gain the confidence to join other racing events at the club. Finally, this year sees the club reach its 60th birthday which we plan to celebrate later in the year. Plans are still being developed and we will let you know what form this will take as soon as possible. If anyone has suggestions please contact a member of the committee. This entry was posted in important, News, social on March 3, 2019 by Erwin Oosterhoorn. We hope you have all had a good Christmas and New Year. 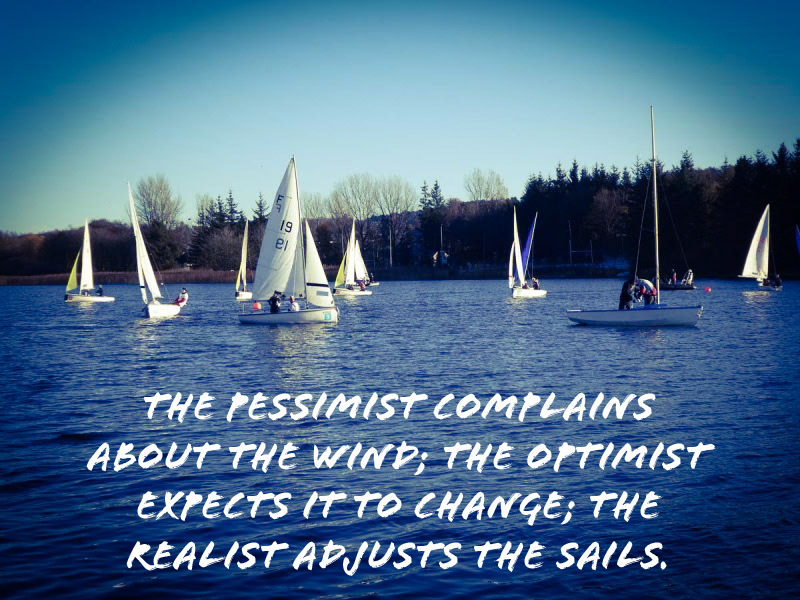 Although it seems to be heading into the depths of winter the committee is thinking about the 2019 sailing season – looking at winter maintenance tasks and planning the sailing calendar. We hope to have the 2019 programme ready very soon including the new “Sailing ladder” – our version of the squash ladder which we hope will encourage new sailors into racing. We will also be returning to nominated race and safety boat officers on Sundays to support training and races. This will need the support of all club members so we hope everyone will be able to take on some tasks over the year. We are a small club and our success depends on everyone lending a hand in whatever way they can – big or small. We are also very pleased to say we now have a new club website and there is more information about this below. We would welcome feedback to help us develop this in the best way for the club. We look forward to seeing everyone once the season starts and will let you know about pre-season tasks that we would welcome assistance with. Meanwhile, enjoy the winter. This entry was posted in important, News, social and tagged new year on January 2, 2019 by Erwin Oosterhoorn.